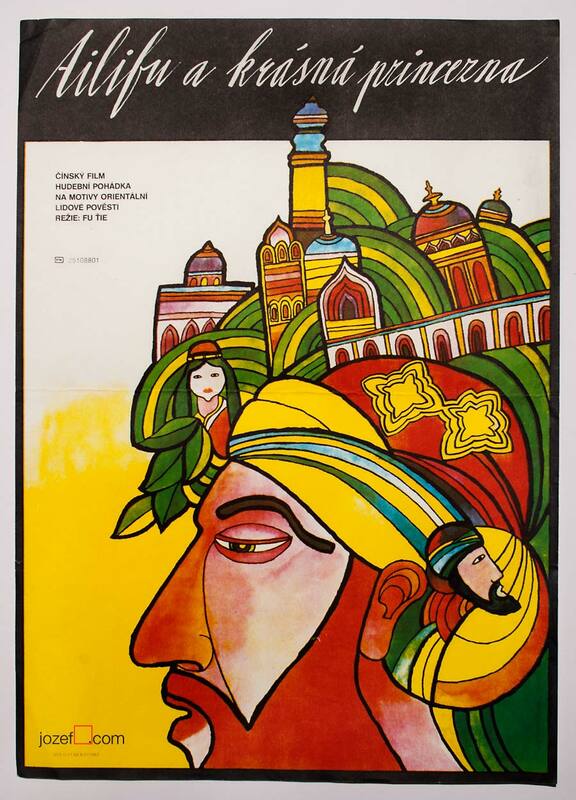 Fantastic movie poster with Jean Paul Belmondo designed by Czech poster artist Jan Tománek. 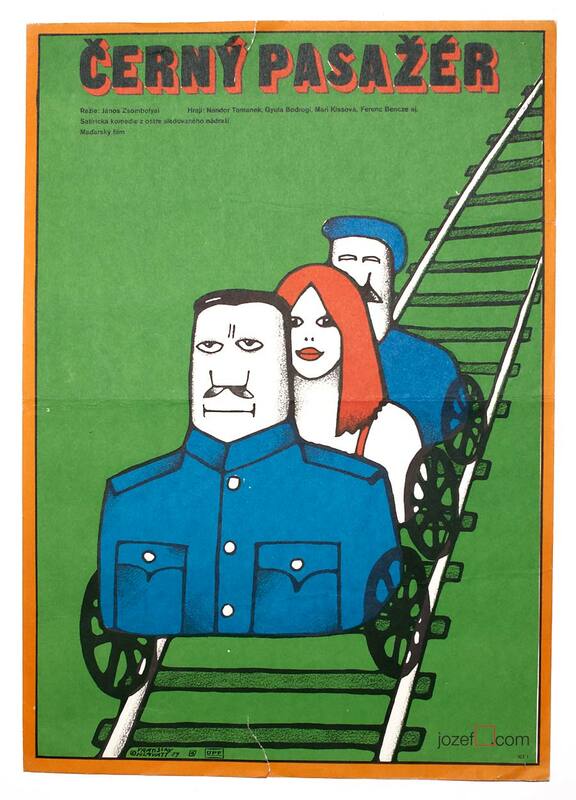 Movie Poster for French comedy starring Jean-Paul Belmondo. Poster is folded. Slightly creased on edges with gentle folds and few soft spots in corners. This is an excellent vintage poster with strong vivid colours and printed on nice thick paper. Poster is in A3 format. Very nice condition. 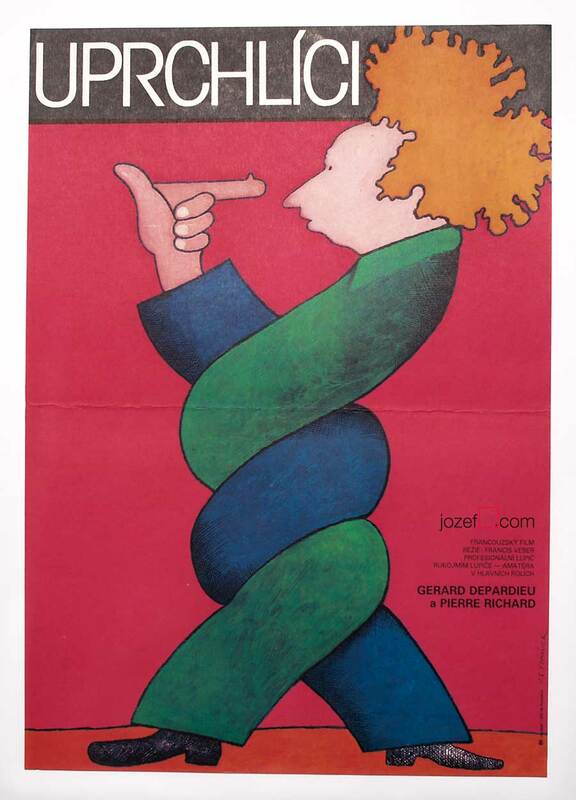 poster designs created for French movies. 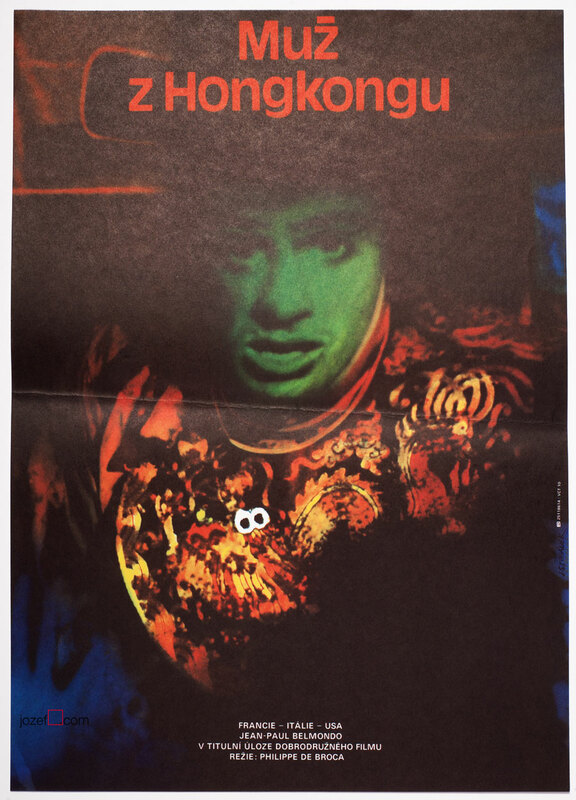 60s posters available in our movie poster shop. 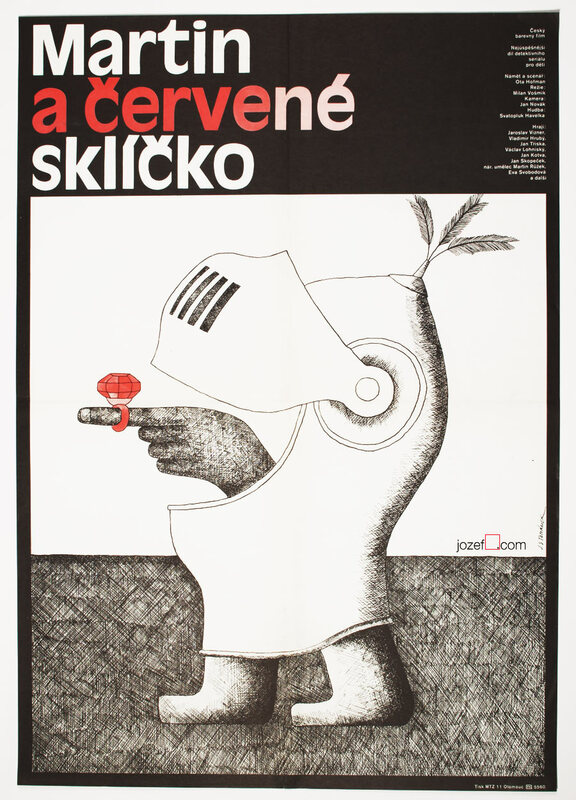 Be the first to review “Movie Poster – Up to His Ears, Jan Tománek, 1967” Click here to cancel reply.